2018 remarks the 1st anniversary of officially implementing the Film Industry Promotion Law of the People’s Republic of China. By the opportunities of implementing the Film Industry Promotion Law, the government governs the market and severely punishes various illegal behaviours. In particular, in the second half of 2018, the competent authorities frequently issue various new policies to regulate illegal phenomena in the film & TV sector, such as “Yin-Yang” contract and ticket subsidy. 2018 remarks the 1st anniversary of officially implementing the Film Industry Promotion Law of the People’s Republic of China. Over the year, the Film Industry Promotion Law safeguards the industrial development and specifies the administrative management. By grasping the opportunities of implementing the Film Industry Promotion Law, the government governs the market and severely punishes various illegal behaviours. In particular, in the second half of 2018, the competent authorities frequently issue various new policies to regulate illegal phenomena in the film & TV sector, such as “Yin-Yang” contract and ticket subsidy. These new policies will inevitably exert significant influence on the order and healthy development of Chinese film industry in the future. From the end of May to the beginning of June, Chinese cultural celebrity Cui Yongyuan revealed that movie and TV celebrity Fan Binging evaded taxes by using the “Yin-Yang” contracts through his Weibo account, as well as other tax evasion and implicit rules in the film & TV sector, such as suspected big and small contracts and Yin-and-Yang contracts, attracted a wide range of attention. The State Administration of Taxation pays close attention to this event and asks Jiangsu and other local tax organs to investigate this event according to laws. Finally, the tax authorities order Fan Bingbing to pay about RMB884 million in overdue taxes and fines as per laws and regulations. Taking this opportunity, the State Administration of Taxation deploys the work to regulate the tax collection in film & TV sector. According to the notice issued by the State Administration of Taxation, film & TV enterprises and related employees may waive the administrative punishment and fines as long as they could have self-inspection and rectification and pay overdue taxes to the competent tax authorities by December 31, 2018. The severe punishment will be imposed on individuals who refuse to rectify. The accountability or legal liabilities of related responsible personnel of local tax agencies and related personnel will be affixed pursuant to laws and to the extent of circumstances, in case they fail to perform their duties and severe tax evasion occurs in their respective region. The tax evasion of celebrities not only violates the bottom line of social morality, but also laws and regulations. The State Administration of Taxation also determines to strictly investigate tax evasion in the film & TV circle. Actually, before Fan Bingbing’s “Yin-Yang Contract” scandal revealed, on June 28, several government departments jointly issued the Notice, including the Publicity Department of the Central Committee of the Communist Party of China, Ministry of Culture and Tourism, State Administration of Taxation, National Radio and Television Administration and State Administration of Films. The Notice asks to strengthen to regulate such issues as sky-high remuneration of stars, “Yin-and-Yang contracts” and tax evasion in film & TV sector to control irrational remuneration of stars, promote tax payment according to laws and advance the healthy development of film & TV industry. The Notice points out that a series of issues have occurred in film & TV sector in recent years, including sky-high remuneration of stars, “Yin-Yang contracts” and tax evasion. These issues not only increase the costs of film & TV program production and compromise overall creation quality, but also damage the health ecology in the sector and distort social values. The government must adopt effective measures to rectify them. The Notice emphasizes that the standards for film & TV program remuneration shall be promulgated, specifying the salary cap for actors/actresses and program guests. Now, the implementing regulations have been issued. The total pay for the cast and all guests shall not exceed 40% of total production cost of each film, TV drama and online audio and video program and the pay for major cast shall not exceed 70% of total cast remuneration. The film & TV regulatory authorities shall strengthen the supervision, regulate celebrities to join variety show, family show, reality show and other programs, strictly implement the approval regulations on online audio and video programs, strictly regulate the remuneration contract management for films, TV dramas and online audio and video programs and strengthen the punishment of tax evasion behaviours. In addition, TV stations, film cinema lines, Internet video and audio websites, privately-owned film distribution and screening companies shall not conduct cutting-throat competition, bid for purchasing the broadcast rights of film & TV programs and resolutely rectify unhealthy phenomena such as high price bidding for celebrities. The government capitals and tax-free public welfare funds shall not invest in films, TV dramas and online video and audio programs with strong entertainment and commercial features that encourage high pay for the stars. The Notice asks to put the social benefits in the first place, rather than only considering box-office, audience ratio and hit ratio. It asks to strengthen the credit system construction in the film & TV industry, strengthen the organizing and management capacity of industrial associations, improve the management system for agents and agencies and strengthen the education and supervision of practitioners. Various media at all levels shall strengthen promotional guidance and media supervision, control the total quantity of entertainment news coverage and create a sound media atmosphere for the healthy development of film & TV industry. After the Notice issued by the Publicity Department and other departments, it is well responded in film & TV industry. On August 11, iQIYI, Youku, Tencent Video, Noon Sunshine, Zhejiang Huace Film & TV, Linmon Pictures, Ciwen Media, Youhug Media and New Classics Media jointly issued the Joint Statement on Curbing Unreasonable Remuneration of Stars and Resisting Malpractices in the Industry. They launch a companion of paycheck cap for actors and actresses in the entertainment sector. The statement states that three video websites along with six film & TV production companies will strictly implement the regulation on the maximum paychecks that actors and actresses can receive from August 11. According to the statement, the overall remuneration of all the actors and actresses in a film, TV play or TV show should not exceed 40% of the overall production costs, and the payments of starring actors and actress should not exceed 70% of the overall remuneration of actors and actresses. In addition, the remuneration of a single actor or actress per episode should not exceed RMB1 million, and total remuneration of an actor or actress should not exceed RMB50 million for all films and TV programs purchased or produced by these three video websites and six film & TV production companies. The joint statement also states that they would jointly resist tax evasion, “Yin-Yang contracts” and other illegal behaviors and jointly advocate for integrity and awe-inspiring righteousness in the sector. For any individuals and organizations engaged in malpractices, three video websites and six film & TV companies will jointly establish the blacklist mechanism. Upon the verification, they will stop all cooperation projects with such individuals and organizations and report to related departments pursuant to laws. The ticket subsidy will be cancelled totally. The film issuer, investor, producer and cinema line shall not subsidize for ticket sold through online ticketing platforms. The sales price is set as the settlement price (excluding commissions). The sales price shall neither exceed the settlement price nor lower than the lowest price. The settlement period is shortened: From October 1, 2018 the settlement period is changed to 8 days and the real-time settlement will go into effect from October 1, 2019. The films shall not have pre-sale without the film public screening permit. The service fee of online ticketing platforms is set at RMB2 per ticket, including RMB1 charged by the service provider and RMB1 charged by online ticketing platform. The cinema lines and film placement companies shall not share such service fee. Among these policy changes for the film industry, cancellation of ticket subsidy is the most influential change. In the long term, it could possibly re-balance the interests of various parties along the film industrial chain, exerting far-reaching influence. Once the new policies implemented, it means that online ticket subsidy prevailed in these years will become history. RMB9.9 and RMB19.9 ticket price will be totally disappeared, without any room left for exaggerating box-office of cinema lines. 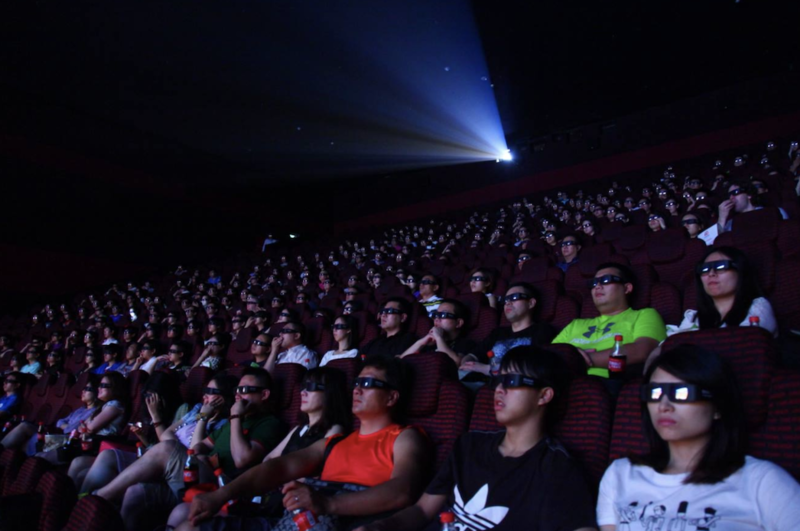 Previously, audiences paid RMB9.9, while the film producer and ticketing platform paid RMB20. However, the box office revenue was counted at RMB30. After the new policies implemented, only price sold at online ticketing platform is included to the box-office revenue. Subsidized price won’t be included even stealthily subsidized the ticket price. It’s a good thing in the long term if ticket subsidy is cancelled. Many cinemas schedule the film screening based on the ticket subsidy, which inevitably disturbs the market, leading to exaggerated box-office revenues. It’s reported that such exaggeration is even up to RMB4 billion to RMB5 billion. Nearly every blockbuster has certain box-office exaggeration to some extent. Therefore, when ticket subsidy transfers from a promotional means to an industrial impediment, only fundamentally solving these issues could get the industry back on track and make the industry re-focus on content quality and realize the sustainable development of platform products. As such, the film word-of-mouth could play a deceive role in influencing audience’s decision-making, while more and more cinemas would schedule the film screening by pre-sales results and film word-of-mouth. For overall film industry, the advantages would undoubtedly outweigh disadvantages. 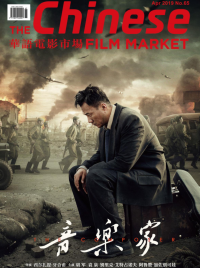 On September 18, to safeguard the legitimate rights of audiences, China Film Distribution and Exhibition Association issued the Notice on the Regulations for Film Ticket Change and Refund to curb malpractices in the market, such as refund or change not allowed, or only change allowed but not refund. The Notice points out that the film ticket change and refund is related to the interests of audiences and the order of film market operation. Related parties shall strengthening industry self-discipline and formulate the ticket change and refund regulations based on optimized and simplified procedure, fully reflected the principles of fairness and rationality, as well as providing considerate and convenient services, so as to better fulfill the disclosure liabilities to audiences and facilitate audiences to view and supervise ticket sales. When cinema lines, cinema investment companies and cinemas sign the ticket sales agreements with third-party ticketing platforms, they should specify the provisions on ticket change and refund. Such provisions shall be specified as possible and clearly state rights and responsibilities. Cinemas shall announce the notes to ticket change and refund at an eye-catching position in the service hall to ensure audiences to know ticket refund and change regulations in advance when they purchase the tickets at the counter. The ticket change and refund regulations shall clearly specify that: whether customers agree to ticket change and refund or under what conditions to allow ticket change and refund. For agreed ticket change in replace of refund, the audiences shall be advised of service procedure and service telephone number. In addition, third-party ticketing platforms, cinema websites and APPs shall prompt the agreement of ticket change and refund before audiences to pay the ticket. Audiences are only allowed to proceed the payment after they click and submit “I Agree” button to ensure that audiences clearly know the regulations.